Since then the majority of jurisdictions (36) have adopted this requirement. Notably, these two statements regarding technology differ quite a bit from the language that the other jurisdictions have incorporated into their Rules of Professional Conduct. While this choice of wording and the decision to include the statements in the Code of Professionalism rather than amending the Rules of Professional Conduct may at first blush seem insignificant, a recent ethics opinion issued by the Louisiana State Bar Association is indicative of a perspective on technology competence - and on technology itself - that differs substantially from that of other jurisdictions. http://files.lsba.org/documents/Ethics/EthicsOpinionLawyersUseTech02062019.pdf), which was handed down in February, was the ethical obligations of lawyers who use technology. Importantly, in framing the issue, the Bar seemed to imply that lawyers do not necessarily need to use technology in order to practice law in 2019, and that if they choose to do so, only then do they have an obligation to understand it. In the preceding sentence, knowledge of technology is part of the duty to maintain competence. Technology know-how is not optional and it is not something that a lawyer can avoid simply by choosing not to use technology. In other words, the consensus regarding technology competence is not that lawyers must be competent only if they choose to use technology. Instead the consensus is that in 2019, lawyers must understand technology so that they can make educated decisions regarding whether and how to use it in their practices. 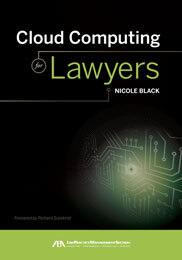 This is an important distinction since in 2019 it is impossible for lawyers to practice law without encountering - and thus necessarily gaining an understanding of - technology in one form or another. And the failure of lawyers to understand how a given technology works and how it will affect their clients’ matters is a violation of the duty of competence at best, and malpractice at worst. For example, litigators need to understand how social media platforms work in order to assess whether social media evidence exists that would benefit or harm their clients’ matters. The failure to do so could arguably result in malpractice in some cases. Similarly many jurisdictions are now requiring e-filing in some courts. A basic understanding of the concepts related to digital documents and e-filing, including proper redaction techniques, is needed in order to competently represent clients and timely file papers with the court. For other lawyers, a basic understanding of ediscovery procedures is a prerequisite to competent representation of their clients. Similarly for lawyers handling matters involving potentially sensitive issues secure client communication options other than unencrypted email must be carefully considered in order to properly protect confidential client data. These are only a few examples of how technology unavoidably overlaps with the practice of law. So, to put it mildly, I was extremely surprised by the tenor of the Louisiana opinion. Not only does it represent a marked shift from the approach taken by other jurisdictions - it seemingly flies in the face of the realities of practicing law in the 21st century. The proper framework for addressing the impact of technology on the practice of law and lawyers’ ethical obligations when doing so is not to ask if a lawyer will use technology, but when. When I started writing about the intersection of law and technology in 2006, emojis were a sidebar in the world of communication. Until the release of the first smartphone, the iPhone, emojis were typically used only in certain online chat rooms. But with the release of the iPhone in 2007, people were able to use emojis more often using various messaging apps. And then when iOS 6 was released in 2012, iPhone users were able to easily include emojis in Apple’s native messaging platform. From there, emojis become a common part of everyday communication. Of course, as is often the case, whenever technological advancements occur - especially in the realm of communications - a notable impact on legal proceedings soon follows. For example, in 2011 I wrote a column focused on a witness intimidation case covered in the Rochester Democrat and Chronicle. It was a federal court case where the defendant was alleged to have “poked” someone on Facebook, and in doing so was alleged to have intimidated a witness. The judge conducting the arraignment admitted that he lacked sufficient knowledge regarding the nature of a Facebook poke, as did the attorneys appearing on the matter. The judge then asked the courtroom spectators if anyone could explain the concept and refused to move forward with the arraignment until he was satisfied by the explanation provided by a reporter who happened to be in the courtroom. That was the very first time I had encountered a report of social media impacting a criminal matter so I found it to be of great interest. Of course, since 2011, social media references in court cases have increased exponentially. Notably, that same phenomenon is now occurring with emojis as they become commonplace in many of our digital communications, and references to emojis and emoticons in court cases have increased significantly in recent years. The most recent case (from March 12th) that references the term “emoji” appeared in a California Court of Appeal case that also involved allegations of intimidating a witness. In People v. Smith, 2019 WL 1122768, at issue was whether the evidence, which included Facebook comments that included emojis, was sufficient to convict the defendant of intimidating a witness. “The comments contained emojis of rodents. The later comments, following T.R. 's other name, “[T.W. ],” included gunshot emojis, gun emojis, and the statement, ‘share my post.’ The four gunshot emojis and three gun emojis were evidence Smith was seeking to encourage other viewers of his Facebook page to shoot T.R. His comments included three emojis, each representing a hand with the thumb and forefinger touching and the other fingers pointed up, representing the letter “b,” a symbol of the Bacc Street Crips. The jury could have reasonably concluded from the photograph and comments that Smith intended to communicate that T.R. was a despised female who had told on Washington, and she was therefore a “rat” or snitch whom members of the gang should kill to assure she did not testify against Washington at his trial. It’s undoubtedly a bit strange to read a court’s attempt to interpret the cartoon-like characters that are finding their way into our daily communications. But expect to see more of this - much more - as our use of electronic forms of communication continue to increase. Like it or not, emojis - and technology in general - are here to stay. Social media can be a gold mine for litigation attorneys. There’s a wealth of information available online that can often be used to the benefit of your client at trial. The trick is knowing how to ethically access social media evidence. Because if you don’t fully understand the ins and outs of the various social media platforms and your ethical obligations, your attempts to obtain online evidence favorable to your client’s case could have the opposite result: it could be precluded from use at trial, and you could even face disciplinary action. The latter is what occurred when a Pennsylvania attorney’s law license was suspended by the Supreme Court of Pennsylvania. In Office of Disciplinary Counsel v. Stacy Parks Miller, Miller’s license was suspended, in part, due to her deceptive behavior in creating a fictitious Facebook page in order to obtain evidence while serving as the Centre County District Attorney. Specifically, it was alleged that Miller created a fictitious Facebook page in 2011, with the end goal being to curb criminal activity relating to the illegal sale of bath salts. The Facebook page was based on a fake social media persona and purported to be the social media account of a young woman who had recently dropped out of college. In her defense, Miller asserted that the Facebook page represented a “proper law enforcement operation.” The Disciplinary Board of the Supreme Court of Pennsylvania disagreed. The Board noted that the mere act of “having a third-person send a friend request to a represented party in order to gain access to the private portion of their profile violates RPC 8.4(c), and that the actions of Miller far exceeded that limited scope of impermissible conduct. Not only did she create a fake Facebook page, she provided her staff with access to it and actively encouraged them to use it to repeatedly interact with and connect with other individuals on Facebook who were suspected of engaging in illegal activities, some of whom were known to be represented by counsel." Accordingly, the Board concluded that her actions were in violation of her ethical obligations. The Board explained that “(t)he Facebook page created by (Miller) and disseminated to her staff was fake and constituted fraudulent and deceptive conduct inn violation of RPC 8.4(c)…(Miller) induced her staff, both attorneys and non-attorneys alike, to engage in dishonest behavior and to imply disinterest in matters, without correcting any misapprehensions. The staff carried out (Miller’s) directives and used the page to “friend” individuals, some of whom were defendants. (Miller) enabled her staff to engage in deceptive conduct, without specific direction, for an unrestricted period of time. This conduct violated RPC 4.3(a), 4.3(c), 5.3(b), 5.3(c)(1), and 5.3(c)(2).” As such the Board recommended that her law license be suspended for one year and one day. This is yet one more example of lawyers interacting online without fully understanding their ethical obligations. Certainly there is a wealth of information - and potential evidence - available on social media platforms, and in 2019, willfully ignoring its existence is arguably malpractice. But before attempting to access information posted online, make sure that you have full knowledge of how the platforms work and what your ethical obligations are in regard to accessing that data. Tread lightly and intelligently when mining social media for evidence, lest you face the same penalty as Ms. Miller. Law enforcement officers have no problem using the latest and greatest technologies to police the people, whether it’s using facial recognition tools, cellphone geolocation data, or recordings obtained from smartphone technologies such as Amazon’s Alexa. But it seems that when the people use the very same tools to police the police - well, that simply won’t do. For example, we know that the police typically don’t like being recorded while effecting an arrest and will often order bystanders to refrain from doing so, and have even been known to take custody of devices and delete data from them. Along the same lines, law enforcement has never been a fan of a more mundane and less tech-savvy practice that many motorists engage in: flashing their headlights in order to warn other motorists of a speed trap. So I wasn’t surprised to learn that the New York Police Department had set its sights on the 21st century version of headlight flashing: the Waze app’s user-submitted reports regarding speed taps and DWI checkpoints. If Google refused to do so, Prunty indicated that the NYPD would pursue all legal remedies available to it to achieve its goal of preventing people from sharing said information via the app. For starters, this request, if granted, likely infringes on the First Amendment rights of ordinary citizens, but that’s an issue that the courts will have to grapple with if legal remedies are indeed pursued by the NYPD. That’s certainly an interesting issue, but what I found to be even more interesting was that the letter was a perfect example of a knee jerk reaction to technology. I say this because people have always found ways to share information regarding the arrival or location of the police. There are code words used by kids on the street that warn others when police appear on the scene. And, as mentioned above, motorists flash their headlights after encountering a speed trap to warn other drivers. Similarly, truck drivers use their CB radios to communicate the whereabouts of police to other truckers. And certainly cell phones have been used by motorists for the purposes of sharing information via phone calls for that same reason as well. In other words, citizens have always found ways to communicate with one another with the end goal being to avoid police interaction. But in the past they’ve used the only methods available to them at the time, which were certainly less effective and not nearly as far-reaching as an app like Waze. Enter technology and the power of social media, and suddenly ordinary citizens have the ability to broadcast their observations of law enforcement activities far and wide. It’s important to note, however, that while the efficiency and reach of the information sharing has improved, the essence of it is the same. It’s simply people communicating with one another regarding situations that are occurring in plain sight. Technology and social media have simply amplified their voices. In other words, as I’ve oft repeated in this column since 2008, the medium doesn’t change the message. And in this case, I would argue that the message falls within the parameters of free speech, and that imminent danger exception does not apply. The fact that the message is now more easily transmitted to a larger number of people doesn’t change that fact. The NYPD seems to have lost sight of the fact that the online is simply an extension of the offline. Should it follow through with its threat to litigate, this will be an interesting case to follow. I strongly suspect that First Amendment rights will trump law enforcement’s knee jerk reaction to technological innovation, but only time -and a lawsuit - will tell if I’m right. I’ve been covering lawyers’ use of social media in my column for the Daily Record since 2008. Back then, most lawyers believed that social media was a passing fad, despite my ardent assertions to the contrary. Some even believed that it was both unethical and unwise for lawyers to use social media. Convincing lawyers that social media was a phenomenon that they needed to learn about was an uphill battle, to say the least. How times have changed. I first became convinced that a dramatic shift was occurring in 2011 when a reporter for the Democrat and Chronicle, Gary Craig, wrote an article entitled “Threat Alleged Via Facebook ‘Poke.’” As explained in the article, a federal judge was unable to proceed with an arraignment of a defendant who was accused of threatening a witness via a Facebook “poke.” The judge had no idea what a “poke” was, and neither did the attorneys before him, so he sought out - and obtained - the information he needed from a spectator seated in courtroom. For me, that was a turning point. Because that’s when I knew that social media was actually impacting cases, and that lawyers were finally going to begin to take notice and want to learn about - and use -social media. Fast forward to 2019, and these days, according to the latest Legal Technology Survey Report issued by the American Bar Association, the majority of lawyers and law firms are using social media for professional reasons in one form or another, whether it’s for business development and networking or for litigation purposes. According to the Report, 76% of lawyers surveyed reported that their firms maintained a presence on at least once social network. And 79% of lawyers reported that they personally used social media for professional reasons. The reasons for their online interactions varied, with 70% citing career development and networking as their motivating reasons. 54% hoped to obtain clients as a result of their participation online. 48% used social media as a tool to increase their education awareness. And finally, 30% used social media to investigate their cases. For those lawyers seeking to drum up business as a result of their online interactions, some were successful, with 35% reporting that they’d had a client retain their services directly or via a referral because of their social media use for professional purposes. 46% indicated that their online interaction never resulted in a new client, and 19% weren’t sure. According to the Report, the most popular social media network amongst lawyers is LinkedIn. 46% of lawyers indicated that their law firms maintained a LinkedIn presence, and 65% reported that they personally maintained a LinkedIn profile for professional purposes. The second most popular site is Facebook, with 42% of lawyers reporting that their law firms maintained a Facebook presence. 37% of responding lawyers shared that they personally used Facebook for professional reasons, and 90% indicated that they participated on Facebook for personal, non-professional purposes. Next was Twitter, with 14% of respondents indicating that their law firms maintained a Twitter presence, and 25% reported that they interacted on Twitter for professional reasons using personal accounts. 1% of lawyers reported that a client had retained them as a result of their use of Twitter for professional reasons. Then there are blogs, which have been around longer than social media, but have decreased in popularity with lawyers over the last few years. According to the Report, 24% of law firms maintain a blog. And, 8% of lawyers reported that they personally maintained a blog focused on a legal topic, down from 15% last year. Finally, 36% reported that a client has retained their services because of their blogging efforts, down from 43% last year. So legal blogging is clearly on the decline, but nevertheless is still a very viable business development tool. So there you have it: lots of statistics on how lawyers are using social media. And, yes, unlike 2008, the majority of lawyers are learning about - and using - social media in 2019. Are you one of those lawyers? Is your law firm using social media? Are you? How does your social media use compare?